Every United States consumer receives a free annual credit report, on the condition you request it. Under the Fair Credit Reporting Act, each of the three major credit reporting agencies — Trans Union, Experian and Equifax — must provide a free annual credit report to each consumer who requests it. When you request your credit report, you need to have your Social Security number handy and be able to answer personal questions that only you would know. This protects you against identity theft. Visit the free website provided by the three credit reporting agencies to request your free credit report via the Internet. Navigate to the AnnualCreditReport.com website. Don't misspell the name as several scam artists have established websites with similar names in an attempt to steal your information. This free website is the only website authorized by the Federal Trade Commission and endorsed by all three credit-reporting agencies. Select your state and press "Request Report." Enter your first name, middle initial, last name and suffix, if any. Enter your date of birth by month, date and year. Input your Social Security number and check the box under this field that says "Check this box if, for security reasons, you want no more than the last four digits of your Social Security Number to appear when you view or print your credit report." 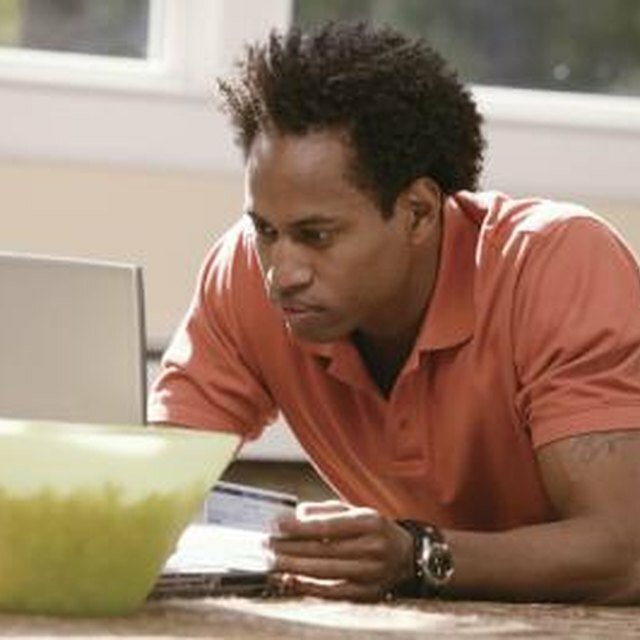 How Do I Get a Free Annual Credit Score? Scroll down, enter your current address and answer the question that indicates if you have lived at that address for the past two years. If not, scroll further down and enter your previous address. Below this, enter the security code from the screen and press "Continue." Click each check box next to the report desired: Experian, Equifax and Trans Union. If you selected all three reports, the program takes you to each one of the credit reporting agencies for your individual report. After viewing the individual report, the process requires you to click the link at the top of the page "AnnualCreditReport.com" that brings you back to the Annual Credit Report website. Press "Next" to continue or "Cancel" to quit. Choose "Annual Credit Report" on the next screen and answer a series of personal questions that verify your identity. Questions may include former addresses, people who lived with you, your current mortgage amount, former street names and cities or counties in which you previously or currently reside. Click "Submit." Print the credit report or save it as a PDF document on your computer. Select "Print Report" to open the report in a second screen for printing. Close when complete. Hit the "AnnualCreditReport.com" button to return and request reports from the other two agencies. To request a copy of your free annual credit report by phone, call 1-877-322-8228. Alternatively request a copy by mail after downloading the form from the Federal Trade Commission's website, completing it and sending to the address on the form.